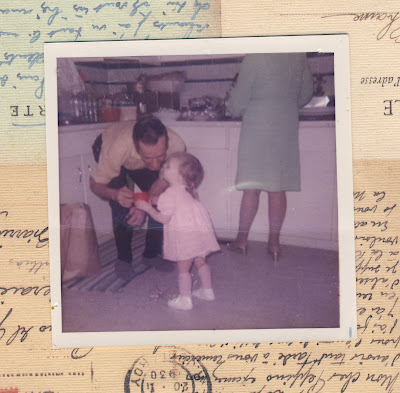 I had a lovely Papa. He was funny and smart and kind, and as I remember never without a treat his pocket or a joke to put a smile on your face. 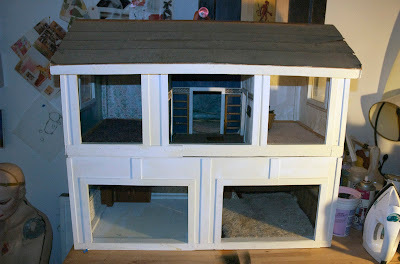 He made my sisters and I a beautiful dollhouse when I was a girl. It was a Christmas present, and I remember opening it and marvelling at the hinged doors and the tiny kitchen cupboards, each room carpeted and wallpapered like a proper house. It was well loved, and survived years barbie drama not to mention a few moves, a reno and even more years in the attic. I got it back a couple of Christmases ago and had big plans to fix it up for my kids. I then of course shoved it into my studio and there it stayed as a good intention and an unfinished project. This year I decided was the year to make it happen. I asked Dawson from Backshed Design if he could do something to fix the roof, which was well past worn. He of course came back with the most brilliant solution, a new roof complete with handle so the dollhouse can now be easily separated, a floor for each child. I discovered I am complete crap at measuring and would have made a rotten architect. I am however a wizard with a can of spray glue and the master of the cover up. If drag queens have taught me anything it's that with enough lipstick and rouge most flaws can be forgiven. And while it may now resemble Herb Tarlek's summer retreat, I think it turned out great. Most importantly my kids absolutely love it. My Papa passed a year ago this October. I really wish he could have seen it finished. The kitchen is now used as Shep's car garage, like a drunken sailor on shore leave Spiderman has taken up permanent residence on the stairwell, too big to fit through the opening to the second floor. I think my Grandfather would have gotten the biggest kick out of seeing his creation being loved to ruin all over again thirty years later. you should post some of those shots of drunken spiderman with his massive shoulders stuck in the stairwell. and don't forget that the roof now doubles as a runway for Shep's WW2 spitfire warplane. 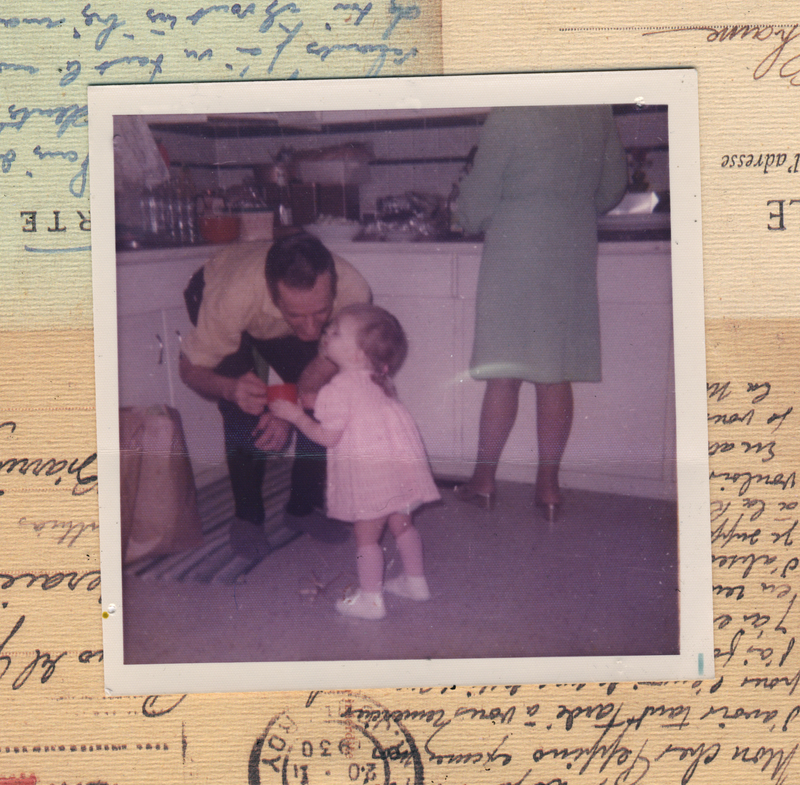 You are a true sentimentalist..The picture of you and your Papa brought tears to my eyes. Bert would have been really pleased with the reno. It looks great! I have been following your blog ,I feel like a peeping Jane but, I enjoy reading and checking out everything you post Bernie. thank you bernie, so glad you like the blog - peep on!